The Alabama Society of Mayflower Descendants welcomes inquiries and appreciates interest in our activities and publications. 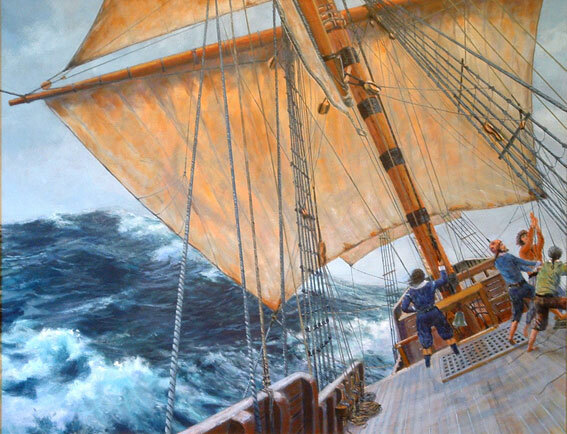 Our members all have demonstrated direct descent from the Pilgrims or their companions who bravely crossed the gale-ridden Atlantic in the Mayflower in 1620.
self-governing community founded upon democratic principles. You are eligible to join our society if you can provide documentation demonstrating that you are a direct descendant of a passenger who sailed to New England on the Mayflower in 1620. If you believe you would qualify as a member, we urge you to complete our Lineage Synopsis Form. Place: Montgomery Country Club Beauvoir Room. Program: What Happened to the Speedwell?